Icy blue ruffles cascading down this Carolina Herrera dress at NYFW is swoon worthy. Yes, I fell in love with almost everything at her flirtatious water-themed show at New York Fashion Week. 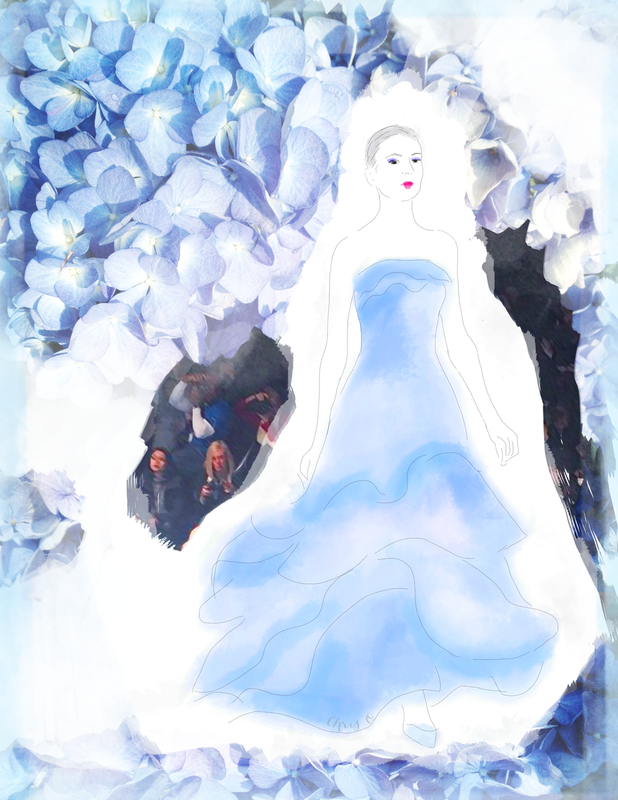 Here's my take on her Oscar-worthy gown—my mixed media sketch above.